In blogging, your email list should always be your #1 focus. It’s the only thing that you have (almost) complete control over. Social media sites and search engines have constantly changing algorithms that can affect your reach. So I needed to develop some easy ways to increase my email list. Your email list is usually only affected by what you do. Your email list will also be your primary income source if your business model focuses on either affiliate income or your own products. You also want your opt-in to appeal to 100% of your target audience (as long as you only have one opt-in). Another strategy would be to have several smaller opt-ins targeted to different sections of your target audience. 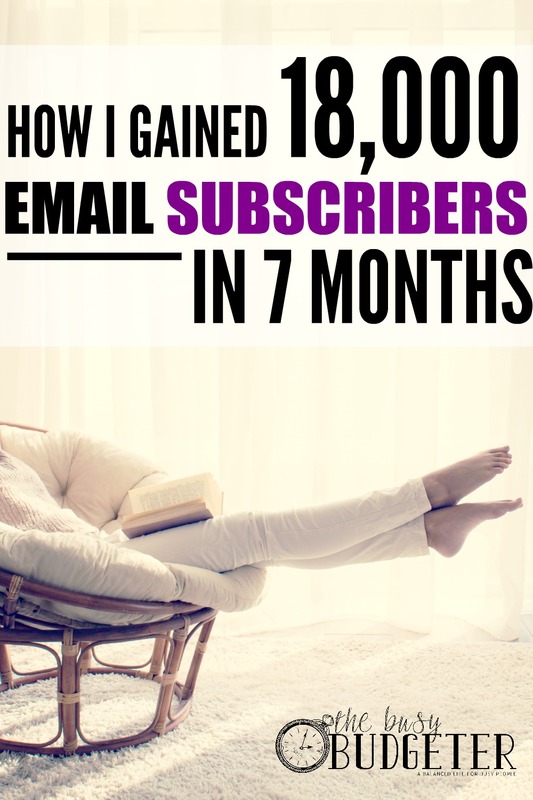 It’s a complete list of the resources, training and classes that I used my first 9 months of blogging that made me grow from $18/month in income to full-time income (and now… just 19 months after starting this blog, my whole family is being supported by this blog). I’m basically handing over the secrets of what tools worked for me and what didn’t. And tons of them are completely free. 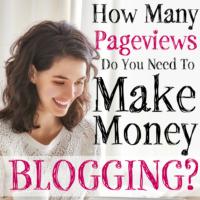 It’s helped thousands of bloggers increase their income from their blogs. Interested? Jot your email below, and I’ll send you blogging tips like this one and send you the resource guide immediately. Side note: I only started writing about blogging a few months ago. Most of my income and my subscribers are from my budgeting list. Where I use the Ultimate Money Saving Workbook as an opt-in. It’s a free checklist of all of the ways that we found to reduce our spending. You can find out more about it here. But if you write about blogging as well as your normal subject, you’ll need to have two opt-ins. Then insert it in the “text” (or html) tab when you're writing your post. Click back to visual and your opt-in box magically appears! I had mine designed by a web designer so she embedded the email from directly into it. It cost me $15 and was well worth the money spent! Heads up: You need to be self-hosted on WordPress in order to do this (which you should be anyway if you want to earn money from blogging), you can learn more about that here. You can get hosting for as little as $3.95/month through this link. I know, I know. You hate pop-ups. But they convert REALLY well. You can create one for free with Sumome Mat. I set mine so that you don't see the pop up if you’ve already seen it within 30 days. If you’re totally against pop-ups, you can skip this and concentrate on the other methods. I need to think of a suitable freebie to build my list. My blog covers a couple of different topics. It’s a bit tough to come up with the right freebie. Maybe offer one of two freebies so a subscriber can select what appeals to her/him most. I don’t have a blog yet so don’t know how doable that is. This is very helpful! I’m so focused on working on creating posts with great resources for my blog that I feel like I haven’t been able to really look at strategies to grow my blog so that people actually read them. these are simple strategies that I’m going to work on implementing. Great tips! Happy to find out how to add a sign-up to my sidebar. I haven’t been able to figure it out until I read that I could add it as an image. Visiting from DIY Sunday party. Great list! I have only had my blog up for 1 month so my list is super small, but I am working on a freebie printable pack plus a free resources library for subscribers. I currently have MailMunch set up for my pop-up and subscribe bars, but I am going to look into SumoMe now. Thanks! Gina recently posted…What Is The Purpose of A Yard Sale? I just switched to convert kit, it’s working great! My list has grown a lot and the automation works well. Great tips as always! Aja Mcclanahan recently posted…How to Start a Blog like a Total Rock Star! Thanks for the tips and the great resources. I can’t wait to read them. I’m over from the linky. Great post and I had to pin it for future reference. Thank you! Thanks for the info. I’m still trying to determine where God is leading me with my blog and so far not getting answers to grow big. Thank you for sharing these tips and tricks with us on the #MotivationMondayParty. We hope to see you again next time. The Busy Budgeter recently posted…How to Update All of Your Accounts… in One Step. 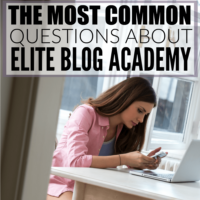 This is great information for all bloggers. Yay…love this! You give the best instructions, so very appreciated! Great post! I don’t know if you have yet, but I would love it if you could share this over at our Totally Terrific Tuesday party today! I think our readers would love to read this! Kendall Patton recently posted…The Summer Culinary Giveaway! Rosemarie, you once again are FEATURED on our next Wonderful Wednesday Blog Hop as this post is HIGHLY popular. No wonder….what a great title and valuable information. And, you are right, I HATE the flying opt in forms. Is the one you are talking about intuitive so that once they have opted they never have to see it again??? I even wrote a post about websites that are so complicated you never get to read the post LOL! Building an email list is big on my priority list just alongside building my Twitter following into the 10k’s. Thank you for the resources and tips! I was almost finished with setting up my sumoMe pop-up form when it finally told me they won’t connect with Mailchimp (which is free) unless I subscribe to the pro membership for 20$/month. As of now, I earn no revenue with my blog and don’t really feel like making yet another investment. Any advice for how I could by-pass that and still have a Newsletter pop-up? I just did a test and I entered my own email address. Then I went to my SumoMe dashboard and was able to see it. It’s just a thought, but do you think I could just go to the dashboard every day and then enter them manually in Mailchimp? I only have about 4k visitors per month and I doubt they’ll all subscribe (even though that would be awesome!!). And then after a while I can see if SumoMe Pro is worth it..
UGH! I wonder if they just changed taht. Try Hello Bar for the same service and see if they’ll work with mail chimp? I wouldn’t pay for it unless you know exactly what you’ll be getting out of it. I’ve done a lot of these and I found sharing a freebie for a subscription works great! I have 3 followers on my blog. I would love to make some money on it too. 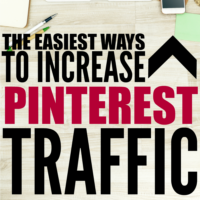 This post is quite helpful as I am looking to grow my followers. Thank you! Such incredible content. Thank you so much. I’m new to blogging and while I absolutely love it- I’m still trying to monetize effectively and fund my nitche. Watching and researching all of your success is a great guide. I’d love any feedback on my site and guest bloggers are always welcome. ? This is exactly what I was needing to read! You are an inspiration to me! I am just starting a blog and taking the EBA course right now. It led me to this post! I hope to have this many subscribers in the next two years! I have been debating on starting out with Mailchimp or starting out with Drip or ConvertKit. 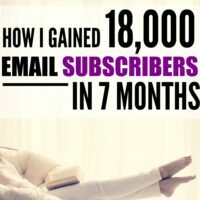 This posts helped me make up my mind and I signed up for both of your freebies to hear more from you! Thanks! I am trying hard to build my tiny list! I am at 82 subscribers, but hoping to reach 100 quickly! I am struggling for a good opt-in that converts. I have a mommy blog and one thing I have trouble with is that just about anything that I can offer can be found for free online. Not sure how to get around this, but I keep trying!! Thank you for your great article! Great tips and ideas to help build a list! I just started a few different lists and wondering what sort of optin freebies you found converts the best? Jolene Ejmont recently posted…Best Hotels & Resorts in Vietnam: Recommended Places to Stay for a Memorable Trip! Thanks for the information, all great ideas! Thanks for sharing at Merry Monday. Hope to see you at the party next week!